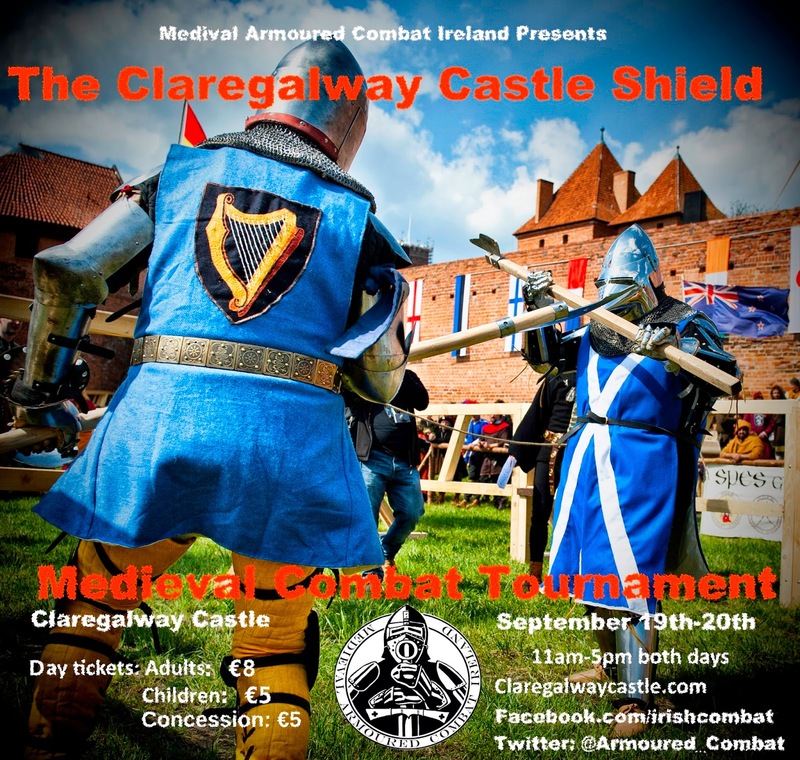 HOLIDAYS in IRELAND: Claregalway Castle hosts Medieval Combat Tournament Sept 19th - 20th. Claregalway Castle hosts Medieval Combat Tournament Sept 19th - 20th. 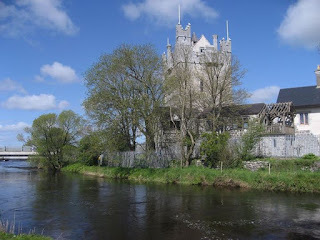 A view of Claregalway Castle from up river. This magnificent medieval castle located in the town of Claregalway, just six miles from Galway on the N 17, is the place to be on the 19th and 20th of September, where you will witness a thrilling exhiibition of medieval combat for the Claregalway Castle shield. A view of the internal grounds at Claregalway castle. Another party night in this wonderful castle setting. How about that for a night out? You too, can make your dreams come true. 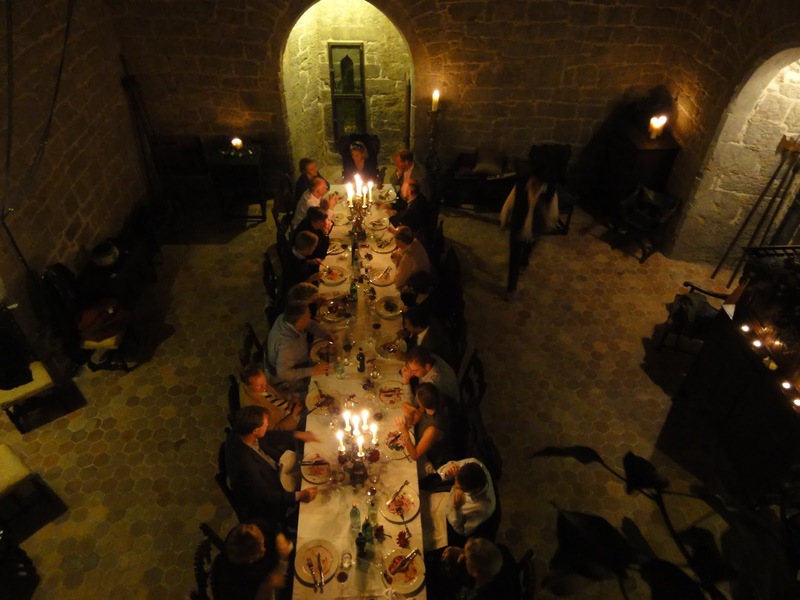 What a wonderful setting for a celebration. Anybody want to take me out for a special night? Time to get serious here. 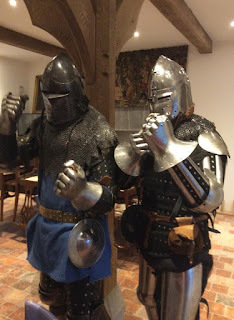 This is some of what you can expect to see at the Medieval Combat Tournament. That's me in the blue vest. If i get blood on it, the wife will kill me. I was getting the upper hand on my opponent here, as you can clearly see. He was backing away from me here, just before they threw in the flag.....not the Irish one....the other one stupid. I did spare his life though.......i really had to keep that vest blood free. Now....time to get serious. This forthcoming event is one not to be missed. 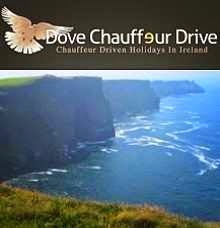 There will be something there for one and all, and the kids will really have a ball.The entrance fees are really reasonable, and those responsible for hosting such a novel event for the West of Ireland are to be highly complimented. Make sure you get there. The castle is really easy to find, as it stands just on the edge of Claregalway town on the Tuam side. 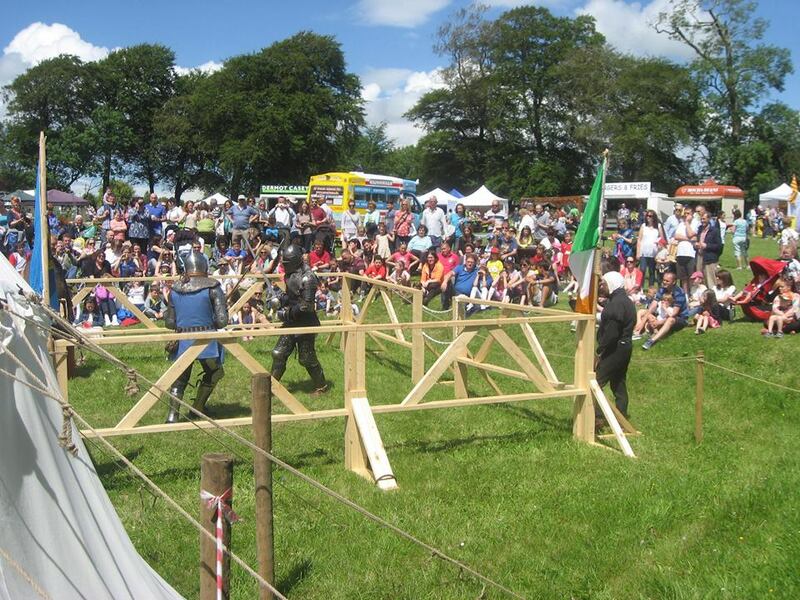 The medieval Tournament is making a comeback in Ireland this September! The first full-contact medieval tournament in Ireland for over 400 years will be happening at Claregalway Castle over the weekend of the Saturday 19th & Sunday 20th of September from 11am – 5pm. 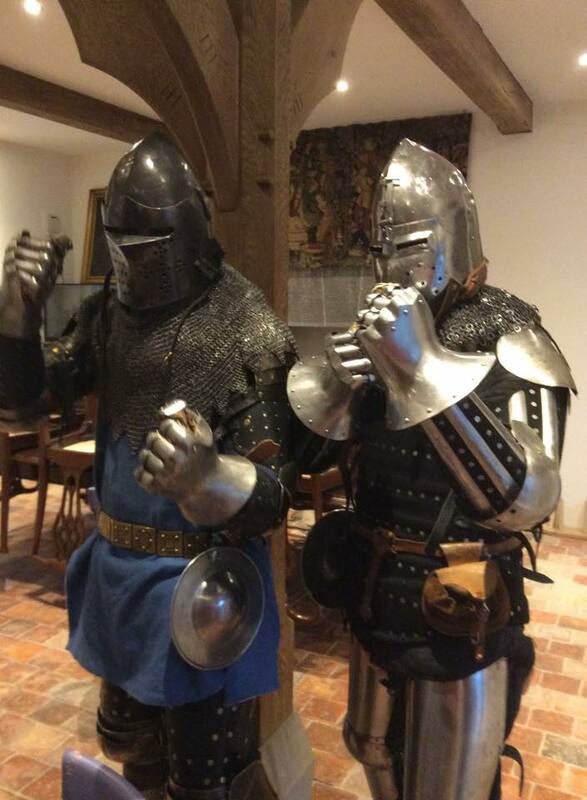 Armoured knights from across the globe will be descending on the fantastically restored 15th century Tower house for this very unusual but very real martial arts tournament. Team Ireland, who recently competed at the World Championships for the first time last May, will have a tough fight on their hands with combatants from across the World competing to take home the Claregalway Castle Shield. The sport of full-contact medieval combat is not for the faint-hearted; wearing full medieval armour, with sword, axe or mace in hand the competitors will be going toe to toe in a brutal and exhausting contest of strength, speed and, above all, skill. A huge range of attacks are allowed, from strikes with the weapons, to shield punches, throws, kicks and headbutts. The tournament is divided up into 3 1v1 categories; Pole weapons, longsword and sword & shield where fighters score points for solid hits, similar to the scoring system in boxing. As well as the individual categories there is also a brutal 3v3 group category, were the winner is decided by the last team standing. As well as all the fighting there will be a great selection of medieval fun on offer including have-a-go archery, a display on medieval life, talks on the goriest aspects of medieval surgery, music and more. On Sunday 20th September Veteran living history interpreter and field archaeologist Dave Swift will give demonstrations on the Late Medieval period c.1500-1600 focusing on Connacht's (and Galway's) greatest medieval battle - the Battle of Knockdoe 1504. Recreated artefacts on display will include swords and other melee weaponry, armour, ceramics, clothing, leather goods, coinage and a ballistics display showcasing musketry and archery. Acclaimed Puppet Master Tommy Baker will present, each day, a medieval themed Puppet Show – The Legend of Lowery Lynch – which has been a sell out event at many large International festivals. Duration 45 minutes Age 6 years upwards. Admission at the gate to Claregalway Castle. Adults €8, Chilldren €5. Puppet show – special tournament rate €5. This is guaranteed to be a hugely enjoyable event, with something on offer for all ages and interests, and a unique opportunity to see the medieval tournament brought back to life!